GEORGE TOWN: “Just regular checks,” a boss of a mall on Jalan Dato Keramat here said after it was raided by federal authorities yesterday. 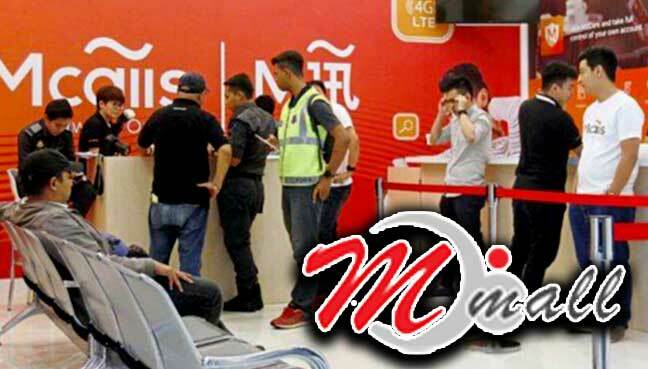 M Mall complex manager Teoh Jin Aik said no computers were taken away and their bank accounts remained active and were “not frozen”. He said it was business as usual for traders operating out of the mall and urged members to stay calm. “The officers were here for a routine check; nothing to worry about,” he said when contacted. Teoh said federal officers raided the MBI headquarters in Ampang, Selangor, yesterday. He said officers only took several documents from the headquarters in Ampang. Teoh said members remained confident in the mall despite reports in the newspapers on the raid. He said regular members to the mall were also not concerned even after news of the raids were published in newspapers today. “Nobody redeemed their points in a hurry. There was no panic. People are shopping as usual,” Teoh said. Yesterday, officers from Bank Negara, Companies Commission of Malaysia, domestic trade, cooperatives and consumerism ministry’s enforcement division and federal police commercial crime division were seen entering the mall. The officers were in the MBI office and the M Mall premises for nearly five hours yesterday and left with documents. It was reported that MBI Group offers a virtual coin financial scheme, where investors pay US$5,000 (RM21,400) for an initial investment. Bonus points and incentives will be given to members for new recruits. The points can be used to buy items at the shops in M Mall and related businesses, including a supermarket, restaurants and a gym. An investor, who wanted to remain anonymous, hoped the authorities would avoid taking action on M Mall. The woman, in her 40s, told FMT that MBI and M Mall had honoured their promises and there was no problem to date. MBI International Sdn Bhd and Mface International, which are subsidiaries of MBI Group, were among the 302 companies listed under Bank Negara Malaysia’s Financial Consumer Alert on May 22. This list alerts members of the public to companies and websites which are neither authorised nor approved under the relevant laws and regulations administered by the central bank.